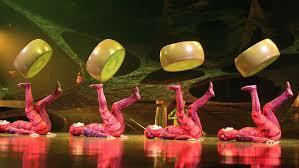 What Does Cirque du Soleil Have to Do With Pest Control? 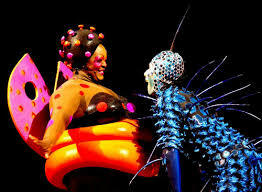 In May, my sister surprised me with tickets to the Cirque du Soleil show at the Liacouras Center. I had been to one other similar style show, many years ago, and it is still one of my favorite memories involving live performance. The title of this particular masterpiece is OVO; it is a tale of greed, love and eventual friendship revolving around an egg found by one of the main characters. Ovo means “egg” in Portuguese for those who do not know – I know I didn’t! 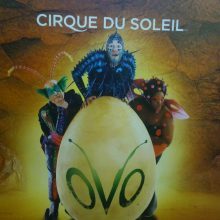 Now don’t get me wrong, any Cirque du Soleil show would be amazing to witness, but this one could not have been any more relevant to me. The characters just so happen to be insects!! Seeing what we normally perceive as pests in our home displayed with such beauty and elegance on stage was mesmerizing! From the ant acrobatics on the ground, to the majestic moths and butterflies playing in the sky with aerial acrobatics, my breath was simply taken away. 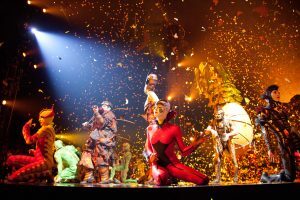 The costumes, the music, the character portrayals – if you have never experienced a Cirque du Soleil show, I highly recommend you take a look into seeing their next performance! Watching the insects portrayed on stage made me think … I wonder if our customers know about some of the more beneficial bugs for a homeowner to see around. Ladybugs: often considered a sign of luck; eat soft-bodied pests, mites, and insect eggs found in your garden. Praying Mantis/Praying Mantids: Contrary to popular folklore, it is not illegal to harm a praying mantid, but why would you ever want to? These prehistoric looking pests act as a predator to most other insects on your property. Consider them the T-Rex of the flower bed! Spiders: found in 2/3 of all homes, spiders usually only bite humans when they feel threatened. They feast on many household pests that are capable of transmitting disease to humans –for example mosquitoes, fleas, flies, cockroaches. Butterflies: besides being beautiful to look at, butterflies are also responsible for pollinating flowers around your home and garden. What other beneficial pests have you seen around your home? Is your home hosting a flea circus? Roll out the red carpet … TermiGuard is introducing a new feature! GUARANTEED, Peace-of-Mind Pest Control - Just A Call Away! 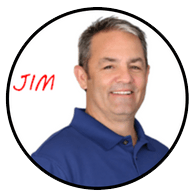 Call Now For Our Low Price Pest Control System!